Provide comfort for the family of George Owens with a meaningful gesture of sympathy. George Thomas Owens, 75, passed away peacefully at home with his family at his side on February 6, 2019. He was born in Utica, NY on April 13, 1943, the son of the late Thomas and Lucy Vanderwood Owens and was a 1960 graduate of Chadwicks High School. George proudly served his country from 1962 until 1964 with the U.S. Navy during the Cuban Blockade. He was also a member of the Naval Drum and Bugle Corps. On October 19, 1963, he was united in marriage with Sharon Simpson in St. Anthony of Padua Church in Chadwicks. In 1964, George established George T. Owens Plumbing and Heating, which he ran up until his retirement. George was very community minded and was active in many local organizations. He was one of the early planners of the Sauquoit Valley Youth Organization, helping design the original baseball fields and signs to help generate funds for the organization and was their director from 1970 to 1991. George was also a baseball coach at all levels of the Oneida County American Legion Baseball League as well as a member of the City of Utica Sports Authority, assisting in planning the Senator James Donovan Memorial Baseball Stadium. He served for 10 years as councilman for the Town of Paris and was a member of the Sauquoit Valley Lions Club where he served as Secretary, Director and President in 1973-74, 93-94 and 94-95. In 2005 he was the recipient of the Robert J. Uplinger Award as someone who has performed outstanding service to their club and community. George also loved the outdoors and enjoyed the times spent hunting, fishing and tending to his flower garden. He is survived by his devoted wife of 56 years, Sharon, his two sons and daughters in law; Stephen and Catharine Owens and Michael and Kathleen Owens, his grandchildren; Jack, Kevin, Sam, Rachel, Jane and Nathan Owens, his sisters and brother in law; Sylvia and Treff LeFave and Judith Fisher and his sisters and brothers in law; Romaine and Theo Ramakers and Anita and Edwin Morris. A very important and influential person in his life was his late stepfather; Jim White. In George’s memory, please consider donations to Hospice and Palliative Care, Sauquoit Valley Sports Boosters Club or the Sauquoit Valley Lions Club. Envelopes will be available at the funeral home. His family would like to thank Hospice and Palliative Care, neighbors Rick and Karen Barnes and dear friend Gail Facchini for all of their help during George’s illness. 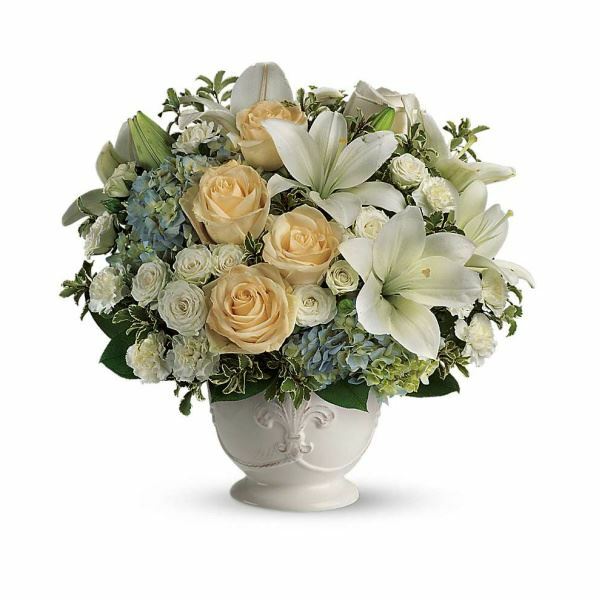 To send flowers in memory of George Thomas Owens, please visit our Heartfelt Sympathies Store. Jared Grasso and Family, John Petro and Family, and others have sent flowers to the family of George Thomas Owens. Jared Grasso and Family purchased flowers for the family of George Owens. We were so sad to hear about George. We are heartbroken for Sharon and the family. We used to see him at the Chadwicks diner and he would be talking about his kids and of course, bragging about the grandkids! The great thing about George was that sense of humor. He would get us laughing so hard. The more people laughed, the worse he got. George, a lot of people are going to miss you! You rest well, my friend, you rest well. I am so sorry to hear of your loss. I remember him so well when he worked with my Dad . Reading his obituary, I now know why my Dad thought so much of him. My thoughts and prayers are with your family during this difficult time.